Our crew is available 24 Hours a day, 7 days a week to handle any of your auto towing or emergency wrecker service needs. Accidents happen and we are always available to lend you a helping hand. 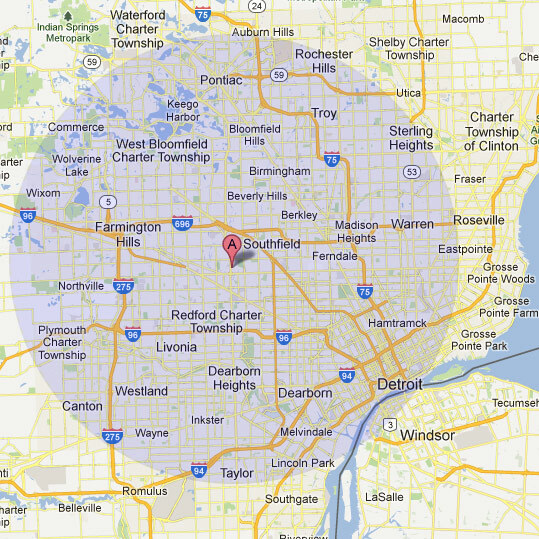 Quality Towing located in Southfield, MI is the fast, friendly and affordable solution. Whether you locked the keys in your car, you have a flat tire, ran out of gas or just need a jump start, call us first! We are fast, experienced, dependable, friendly and professional. And we are only a phone call away, 24 hours a day, call us anytime at (248) 356-5399. Let our towing and road side emergency professionals get you back on the road! Quality Towing is located in Southfield, Michigan and offers wrecker and towing services in Southfield, Farmington, Farmington Hills and the greater Detroit area. Please see our Location Map for our general towing and wrecker service area.